Claire Lloyd explains how to choose the right stone for your project. The appeal of stone is unquestionable — when the right stone is specified for a room it can provide a long-lasting, durable floor, adding a timeless look and unique character. And while it’s been used in homes for centuries, its heat-retaining properties make it an excellent partner for modern-day underfloor heating. Added to this is the ongoing trend for continuing the same flooring outside — while in reality few interior products can be used externally, stone does lend itself readily to being matched with external pavers. 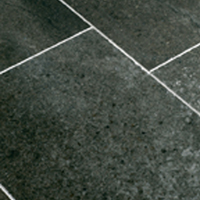 Slate, limestone, granite, travertine, basalt and some sandstones are all options. But stones which fall under these titles can vary considerably — quarried locally or imported from throughout the world, with varying grades of quality. Travertine, for example – a sedimentary rock deposited by mineral springs (air trapped during its formation results in its characteristic surface pits) – is available in different grades. Higher-quality travertine, often referred to as ‘premium’ or ‘first grade’, possesses fewer pits, with a more vibrant colour compared to those at the lower end, often referred to as ‘third’ or ‘commercial grade’. It may be supplied filled (where the pits are filled by hand and/or machine) or unfilled, with the tiler required to undertake the task. Different stones and edge and surface finishes – such as honed, riven, polished and vein cut – are also suitable for different applications. It goes without saying that rooms subject to lots of wear require a hardwearing surface, often with a tile of adequate depth — 20mm is good for durability. A highly polished finish may require more attention to keep in tip-top condition in such areas, too, so you may want to opt for a riven finish with slate (the uneven surface is more forgiving when it comes to marks), or tumbled, which has a pre-aged appearance. 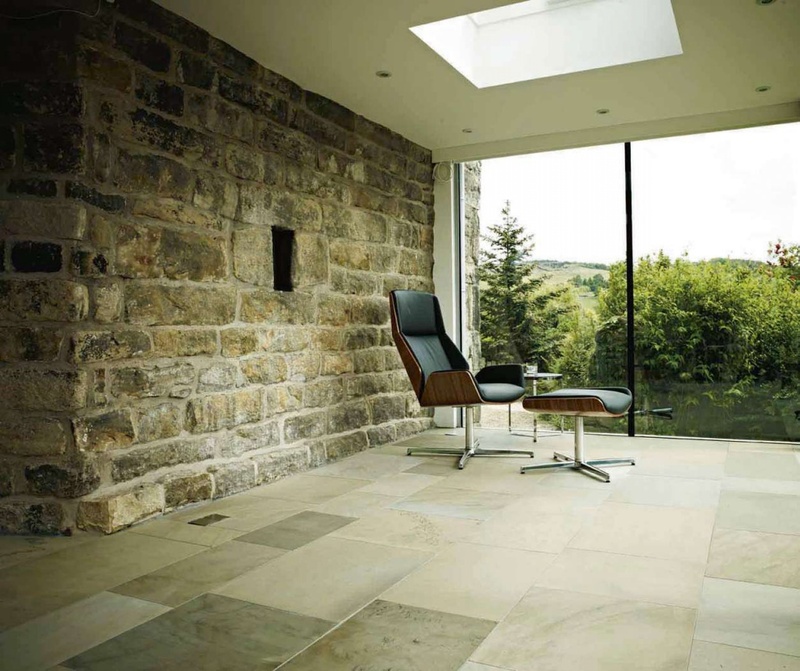 “In our opinion, a dense limestone is the most suitable material available for high-traffic areas in the home,” recommends Paul Cranney of The Stone Gallery, who offers a product called ‘Juma Beige’ for this application. Granite is also a good option. In the bathroom stones with lower porosity, such as slate, granite, marble and also some limestones, are good choices. While all reputable stone tiles offered to the UK market are tested for slip-resistance, do bear in mind that a highly polished finish can present more of a slip hazard when wet. In the kitchen marble, which is more sensitive to acid than stones such as granite, may not provide the best solution as spills could more readily result in etching. The choice of size and shape is usually dictated by aesthetics, room size and budget. In addition to standard sizes, some suppliers offer ‘free lengths’ whereby the width remains the same but the length varies, as well as the option to purchase tile packs of varying format to lay in a set pattern; both work well in more traditional schemes. For contemporary homes long, narrow tiles are particularly striking. Suppliers tend to keep a stock of their standard sizes, but bear in mind that bespoke formats (which are typically more expensive) may be on lead times of six to eight weeks, or longer if the stone is imported. The grout used will also impact on the overall look. One striking trend is the use of light grout between dark tiles; however, a darker grout, which more readily hides stains and dirt, is more practical. Sealing the stone, in accordance with the supplier’s advice is also an absolute must. 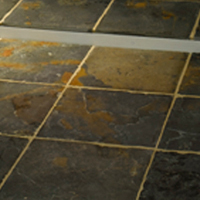 What lies beneath the tiles is also paramount to ensuring you achieve a long-lasting floor without problems. Timber floors might require strengthening and a flexible adhesive which accommodates movement, preventing the tiles from cracking. An uncoupling membrane is also a good idea (more to follow). A screed needs to dry out properly and preferably be heated gradually and allowed to cool before the stone is installed. Stone-effect ceramic – picked up for as little as £15/m2 – or (more expensive) porcelain tiles can be alternatives if you like the look of stone, but don’t want to invest in the real thing. The uniformity makes installation an easier DIY task. Increasingly popular is stone applied to a ceramic or porcelain backing, which could be ideal where tile depth is an issue, such as in renovation projects. While light stones can make a room feel more spacious, darker flooring can be a more forgiving option, hiding dirt and marks (but beware if you have a golden dog!). 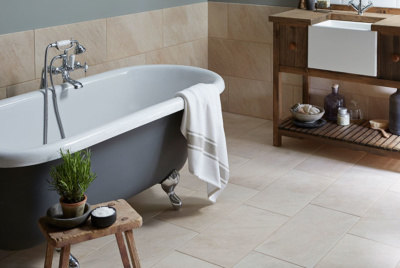 “Large-format tiles are almost replacing more traditional sizes — they create a seamless finish (with less grout lines) and continue and enhance the trend for open plan living, aesthetically making a room feel larger,” adds Beth Boulton, Head of Marketing at Topps Tiles. A growing desire to reduce the carbon footprint created by importing goods and recognition of the quality of locally quarried products has also seen more homeowners opt for stone produced in the UK, such as Purbeck, Bath and Portland stone. 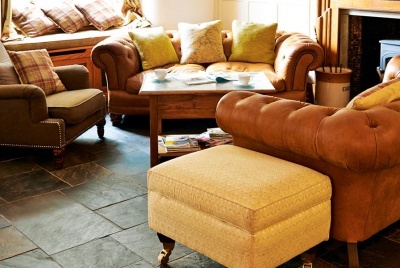 Stone flooring is a traditional way of flooring. 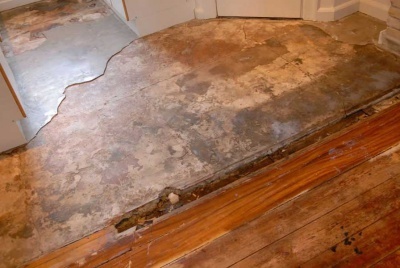 These flooring will give an antique look to your house. 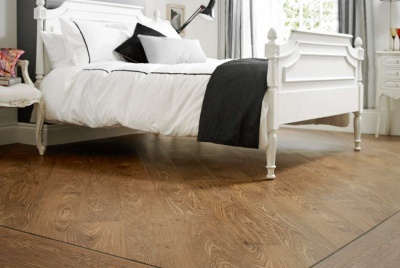 So choosing the right kind of flooring is necessary. There are a lot of varieties available. We must choose the type that goes according to our house. 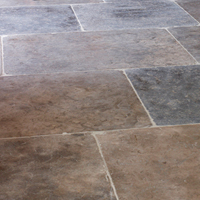 So if you are planning for stone flooring then choose according to your needs.